The following article explains the general process for sending Prescreen or quoting information to Anthem Blue Cross Blue Shield of Missouri, this includes sending Medically Underwritten Quote (MHQs). It's helpful to ensure the conditions below are met to enable data sending. Once those requirements are met, you will then be able to submit the completed applications to Anthem Blue Cross Blue Shield of Missouri. Now, you can set up the Prescreen submission. NOTE: Forms with a prepended "~" will not map any medical conditions. If you need to add any notes regarding your submission to the Anthem Blue Cross Blue Shield of Missouri, you can do so here in Notes for Carrier. This will be added to the email that the Carrier receives. If you need to add any additional required documents (Ex. Employer wage and tax documents) for your Prescreen submission, click the blue Upload Additional File button. You can also attach files into the Document Center and they will automatically populate here. 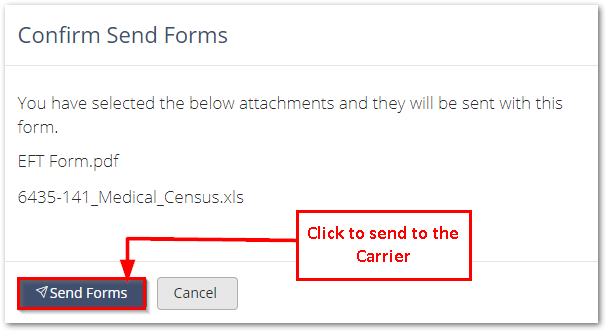 NOTE: FormFire will automatically attach a census for your submission in the Attach Files section. This will attach once you have selected your Carrier and form. The Carbon Copy section is optional and is reserved for only one additional address. 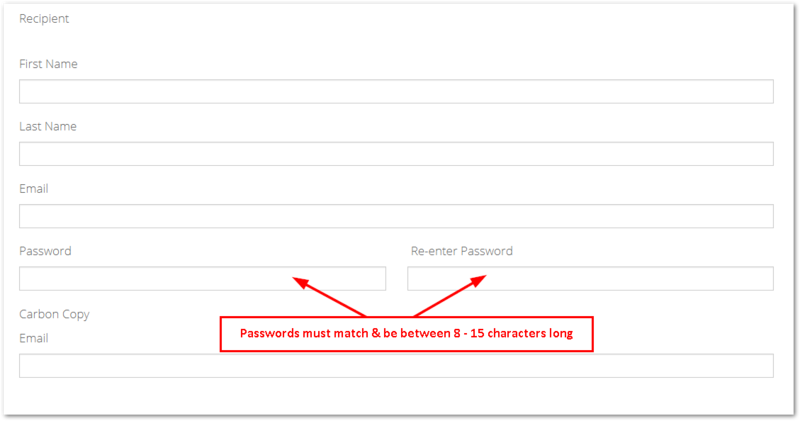 The Carbon Copy will use the same password as the Recipient. Once this section has been filled out, click Send. Then, a Confirm Send Forms pop up menu will appear that will allow you to review the attachments your submitting in addition to the employee's forms. Your contact at Anthem Blue Cross Blue Shield of Missouri receives an email with a link to access your client’s forms as well as any attachments you sent to them. After the link is clicked the contact is directed to a page where the password is needed to download the client’s forms as well as the attachments. Your contact at Anthem Blue Cross Blue Shield of Missouri will review all the information sent and contact you outside of FormFire to inform you that your client has been successfully enrolled or if they have any additional questions.